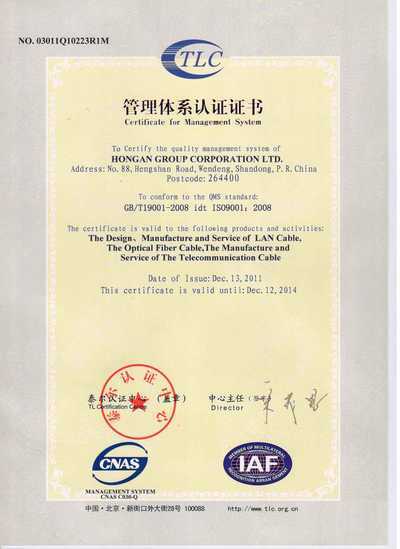 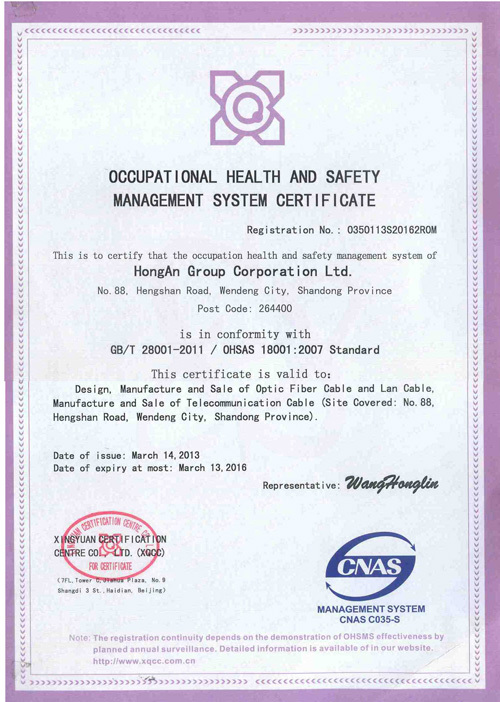 Company Overview - Hongan Group Co., Ltd.
Hong'an Group Co., Ltd. was founded in 1985 and is a cable manufacturer specializing in telephone cables, optical fibers and cables, LAN cables. 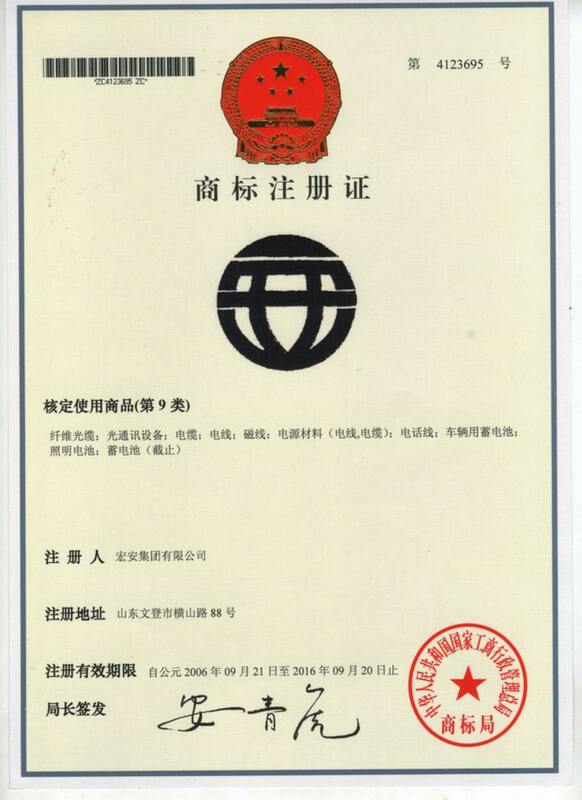 As a large-scale enterprise group, we possess total capital of USD175 million, employ 2,000 people, and administer 9 branch companies and one provincial technical development center. 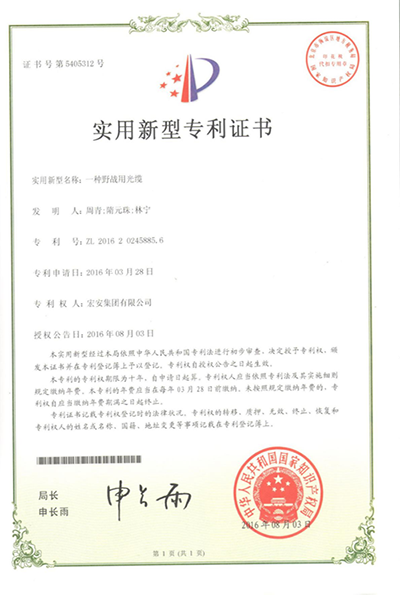 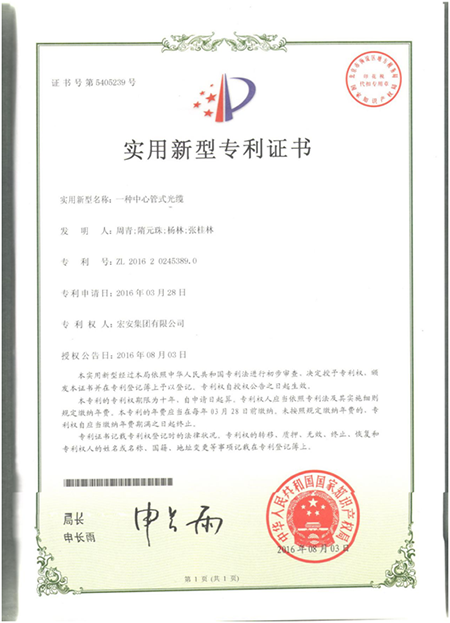 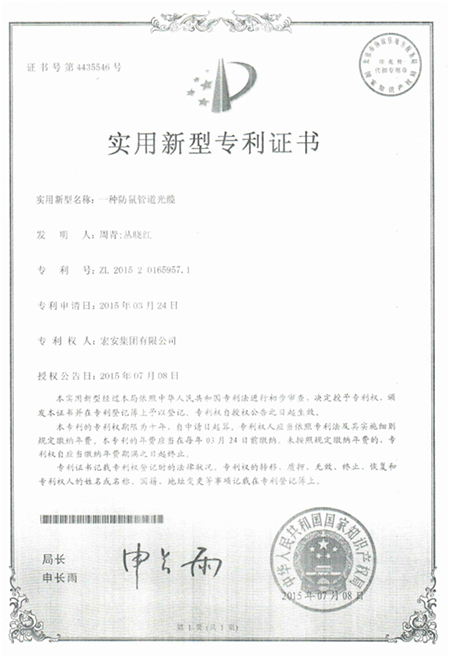 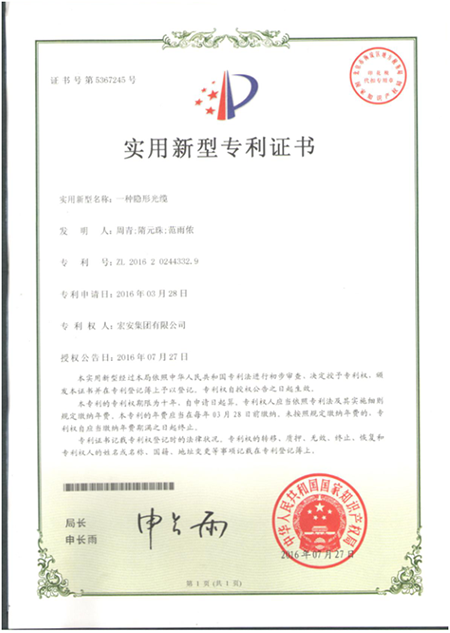 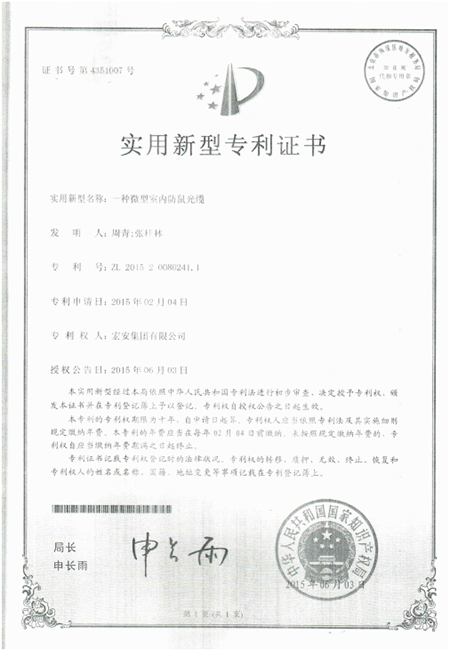 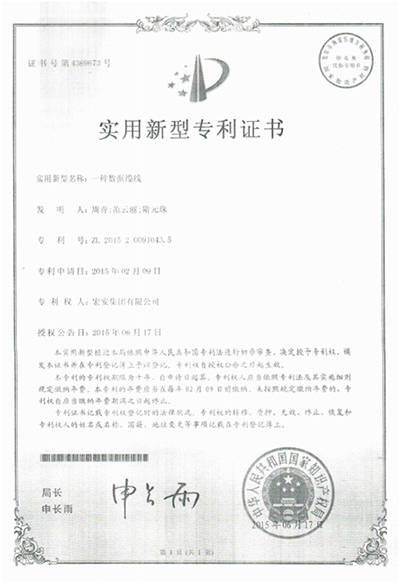 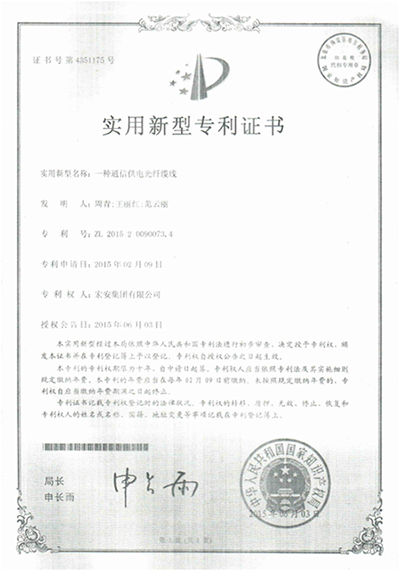 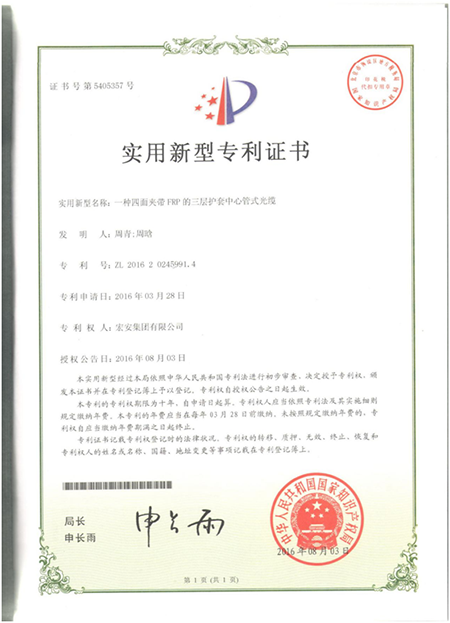 We have had the honor of winning many honorary titles, such as, "Shandong Top 10 Hi-tech Enterprise", "Shandong Industry Top 100 Enterprise", "China Top 100 Electrical Machinery & Instrument Manufacturing Enterprise", "China Top 100 Enterprise in Electronic Industry", "The State Torch Plan Key Hi-Tech Enterprise", and "AAA Grade Credit Enterprise".Persisting in being guided by technical innovation and putting people first, Hongan Group has invested more than USD50 million to introduce 36 production lines for city telecommunication cable, optical fiber and cable and LAN cable, as well as detecting facilities from America, Japan, Switzerland, Finland, and Germany. 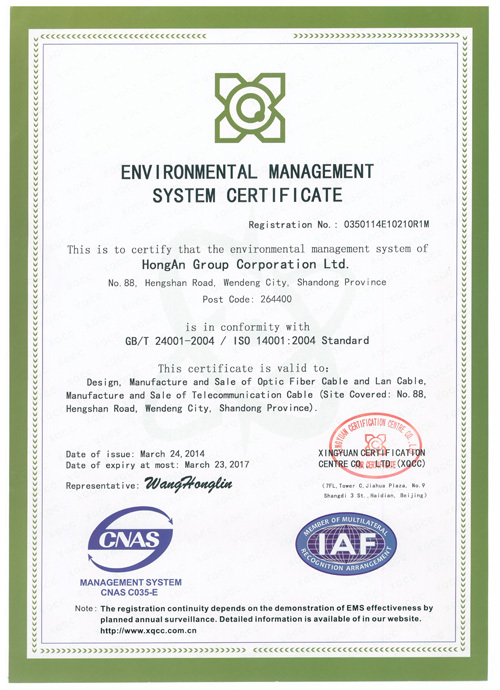 Confronted with the new situations and challenges of 21st century, Hongan Group will bring advantages into full play and keep pace with the times to exploit new sources of economic growth. 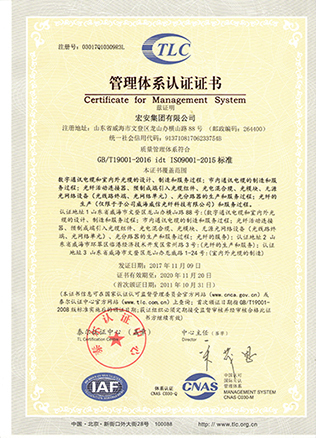 At the same time we expand and strengthen our main work. 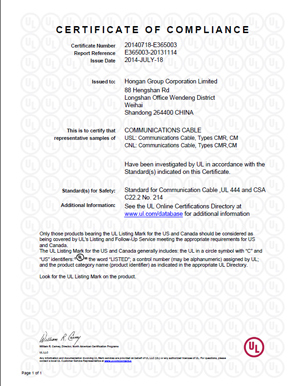 Looking forward to the future, Hongan is determined to create a scintillating tomorrow with first-class products and high-quality service, and to contribute to the healthy and rapid development of the national information industry. 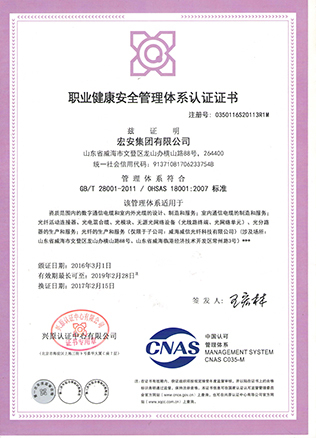 digital communication cables and indoor&outdoor fiber optic cable design, manufacture and service process;local communication cable munufature and service process; optical fiber connector, pre-terminated optical cable assemblies, photoelectric hybrid cable, light module, passive opitcal network equipment, (optical line terminal, optical network unit),optical divider manufacture and service process. 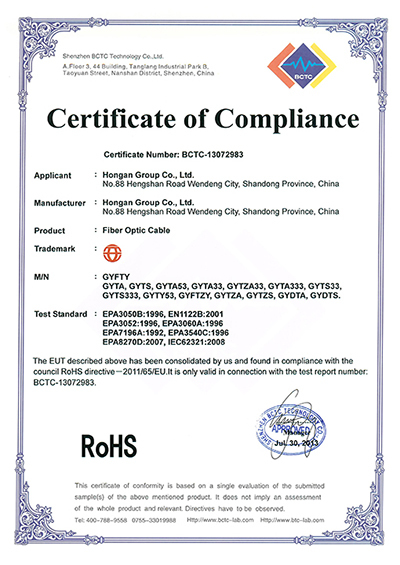 production of optical fiber(limited to the dubsidiary company weihai weixin fiber technology co., ltd)and service process. 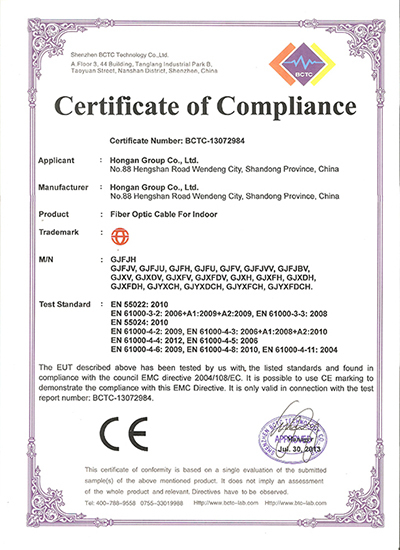 Design and manufacture of LAN cable,the optical fiber cable. 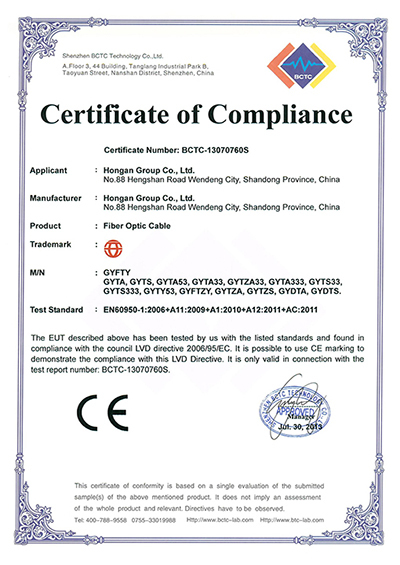 The manufacture and service of telecommunication cable. 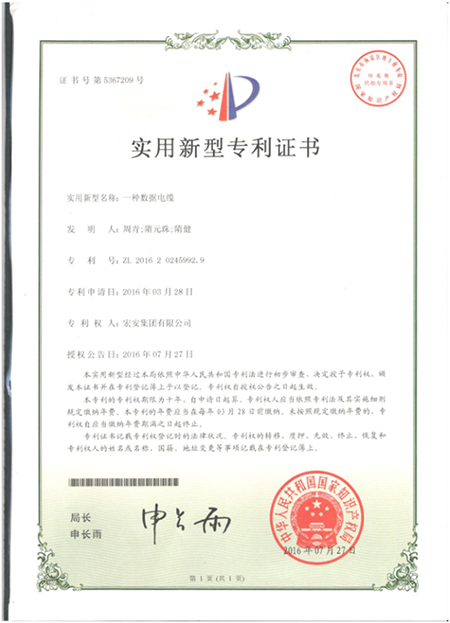 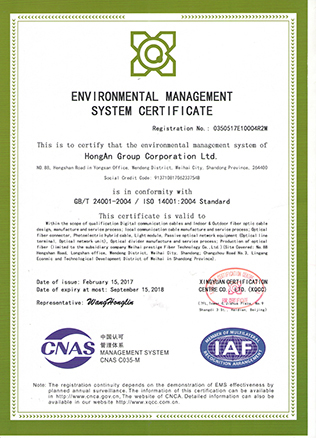 XINYUAN CERTIFICATION CENTRE CO., LTD.